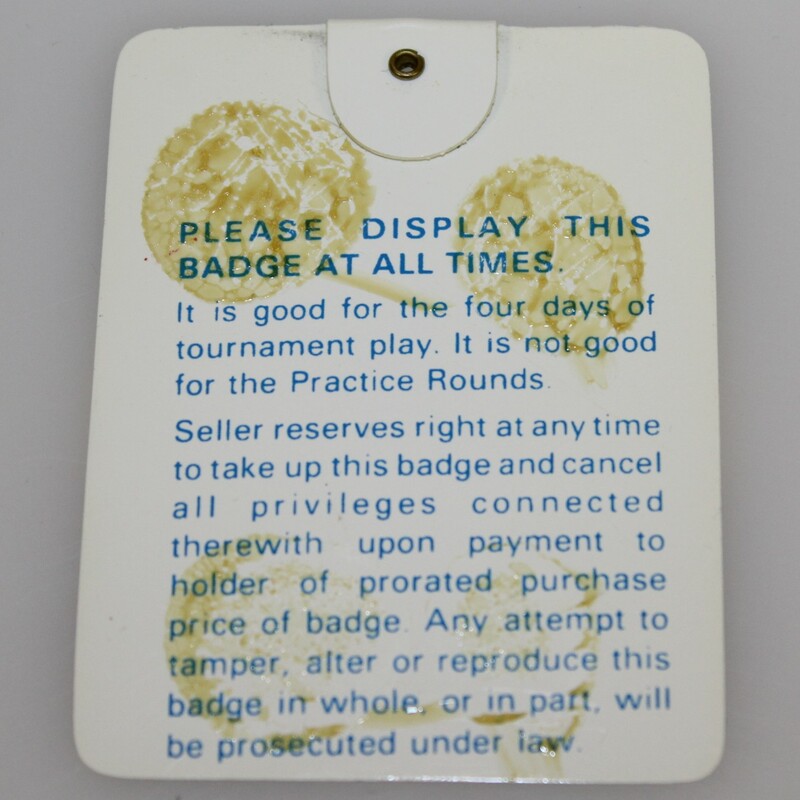 Presented here is a 1983 Masters Tournament series badge #07742. 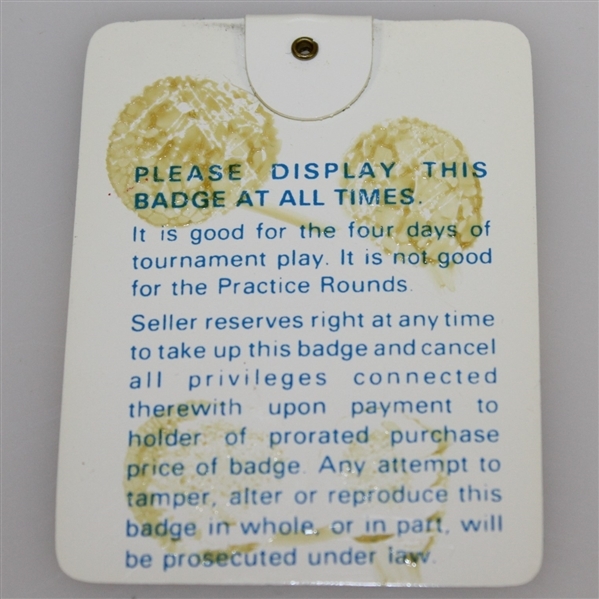 The badge itself is in good condition, though the original pin is not present and there appears to be adhesive residue on the back of the badge. 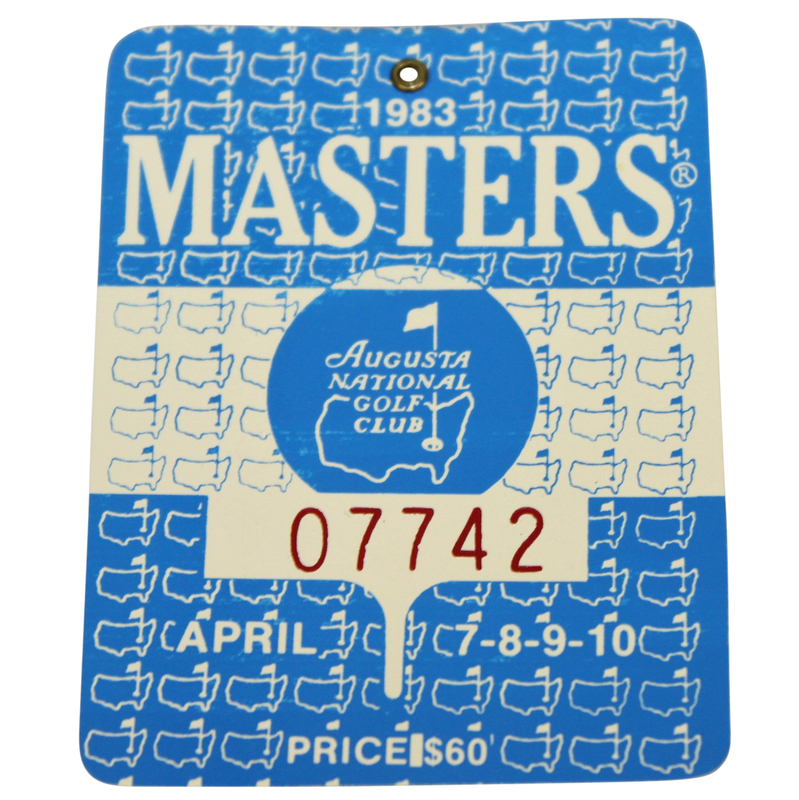 Seve Ballesteros earned his second Masters title in 1983, four strokes over Ben Crenshaw and Tom Kite.